FINAL WORK WEEKEND – Don’t miss your chance to leave a lasting (positive) impression on the on the house. Saturday, August 6th will be the next, and hopefully final, work weekend at the house. We still have a lot to do to ensure the house is ready for the new school year. For those of you artsy folks, we have lot of paint prep work that needs to be done, but if the outdoors is more your thing, we have a lot of earthwork and gardening too. I’m sure we can find something up your alley! Work will be going on all day, you can’t get there to early, and you can’t get there too late. Any time at all you can contribute will be greatly appreciated. If you like working with your own tools, we can always use extra shovels, paint brushes, rollers, sand papers, blue painting tape, steel wool (various grades), water blaster or pressure washer, pruning tools, wire cutters, and strong backs. Be sure to label your tools before arrival. There has already been a lot of volunteers who have already given a lot of their time and energy, it would be great to see you there. Who: All actives and alumni are invited and encouraged to join the effort – that means you! Norwood Williams and Joe Abel are leading the effort. How: Skills, sweat, tools, teamwork, and lots of fun along the way. Why: The remaining tear work to be done includes: the head (another layer of sheetrock and flooring need to be removed), flooring in the kitchen needs to be removed, the carpet and possibly the subfloor in the old house mothers room needs to be removed,and a new deck put down. We need to do general ground works, etc. Read Joe Abel’s report of MOD Part 1 here. So please if you can come, come! This is a call to all the brothers of Iota to pony up for the remodel of our old House. We are going to redo the Head, Kitchen, replace the Main Doors south and North, repair all the other exterior doors, replace some of the room doors upstairs, do some electrical work etc. We will have to rent a rolloff dumpster for the tear out on May 21st and have it there for the remainder of the job. We are going to have to bubble wrap the composites and store them in a climate controlled storage until we are done. Plus we will have to have a painting weekend sometime this summer to put the finishing touches on the house. We have a good contractor for the job and Norwood and I will supervise the activity, so we should not have any thing get past us. We estimate the cost to be $ 75,000.00. This should cover the whole job. Believe it or not there is actually some stuff that has held up since the work in 2007. I have thrown is $2500 to get us started, so everybody who can afford to give something please do so. Alan Haworth is the EC member responsible for fundraising for the House Corporation. Friday Night: House is open for alumni & guests. No formal activities. Noon: Lunch – please plan on making a contribution for lunch, suggested at $15. 8:00 PM: House open for alumni and guests. The Alumni Weekend XXXVIII (38 for those who donâ€™t read Roman) is this weekend. April 15-17, 2011. We will start the ball rolling for the 125 Year Anniversary (November 4-6) and have tons of fun. Saturday as usual is the big day, great for the family, withÂ with BBQ, softball, and sunshine. See you at the House! See who’s coming on the Facebook event page for Alumni Weekend. The annual meeting of the Iota Alumni Association will take place at 3:00 p.m. on Saturday, November 6, 2010 at the Kappa Sigma House. We encourage all active and alumni brothers to attend. 4:00 p.m.: Open House, The Sig House is 50 years old this year! UPDATE: 4/9 5:34pm Central See link below for directions to softball field. When you arrive at the house, please register at the registration table where we will take your name, contact information, and $10 weekend contribution. – Friday evening there will be a casual gathering at the house.Â Come on by! * Maps will be provided on Saturday to the field. See who’s coming from Facebook. Alumni Weekend for the Spring of 2010 will take place over the second weekend in April, from Friday April 9 through Saturday April 10. Mark your calendars. Make the case to your wife now. It may help to ask her to come. The kids too. Post by J. Scott Hanson, Ph.D.
During the 2009 Alumni Weekend, the Alumni Association formed a committee tasked with assisting actives in preparing for life after college. In support of this effort, the Iota Chapter AA will be holding a Career Day event on February 6th. Several alumni have collaborated to plan this day of presentations and discussions addressing professional topics (see attached agenda) for the benefit of the undergraduate chapter and recent graduates. We encourage brothers who can spare the time to join us for any or all parts of the day. Alumni attendees can assist by participating in discussions and sharing their own experiences throughout the day. We specifically encourage alumni in the Austin area to make time for the evening networking event at Fish City in Georgetown, which will be a great chance for these guys to practice networking strategies discussed during the day. This is the first event of this kind for the chapter and for Southwestern. In fact, the Career Services Center will participate in the event and has graciously provided the venue and the food and beverages for the day. If this proves successful, the CSC is considering a similar event on a larger scale for the entire university in the fall. When we typically gather with the active chapter, we spend much of our time talking about our life in college. This is an opportunity for us to speak to them about our lives after college and, hopefully, to help them get off to a great start. Please mark your calendar and RSVP to Scott Hanson (j_scott_hanson@yahoo.com) by Wednesday February 3rd. We look forward to seeing you there. I am proud to announce that the 2010 National Student Peace Alliance Conference will be held at Southwestern University on February 26-28. This conference will focus on evidence-based programs that are effectively reducing and preventing violence both at an international and domestic level. The conference will bring together 500 pro-active, pro-peace and solution-oriented young people from across the country to unite around a common, and practical, goal — peace. Such a prestigious honor for our University could not have occurred without the hard work of the recently deceased Rob Atkinson, the national legislative director for SPA, and the hard work of many other active Iota members involved in Student Peace Alliance at SU. This Conference will most certainly make an impact in Texas as well as on Kappa Sigma nationally. As we want to make this conference as effective and impactful as possible, Kappa Sigma actives are launching a fundraising campaign to support the conference with the goal of raising $1000 by the date of the conference. We are one month away. Please consider making a contribution to help provide the proper resources and financial support students need to make this conference exceed the Universityâ€™s expectations and make a difference in Studentâ€™s lives. You can donate at: http://www.studentpeacealliance.org/give/give or mail a check payable to â€œStudent Peace Allianceâ€ at The Peace Alliance, PO Box 27601, Washington, District of Columbia 20038. If you are interested in sponsoring the conference or would like more information please call 325-518-5889. If youâ€™ve got a reunion year celebration or other group event to announce, post a comment to this post. I am happy to report to you that your delegates at the 67th Grand Conclave had a great experience. I am so proud of our active brothers Lance Turri and John Burden for their enthusiastic participation in this important event. As our delegates they represented our order with honor and that distinct style that is all Iota. John met with Michael Wilson and the new Worthy Grand Treasurer and has their assurance that Iota is in good standing. They also expressed their respect for our chapter and it’s long and important history. I left the conference with a better understanding of our national operations and a greater love for our amazing chapter. It is with great excitement that I would like to invite all alumni officers, and any others that are interested, to our annual E.C. retreat at my home in Walburg on August 29th at 10:00 a.m.
We will be helping our young brothers with officer transitions and setting goals for the up coming year. 4/26/09: Update: Martin did not win the race but we congratulate him on a great campaign. You can read about the results courtesy of the Megaphone Online. Our active brother Martin Fergus is running for Student Congress President. For those of us who canâ€™t vote, we wish you the best of luck on election day, April 8, 2009! â€¢ Martin will enforce transparency in Student Congress activities, policies, and resolutions. There is no reason why information about our initiatives as Student Congress should be difficult or a challenge to find. Student Congress has an obligation to represent its constituents in a clear and professional manner. â€¢ Martin plans to develop more effective and efficient organizational practices for Student Congress. As President, Martin will move our Congress in to the 21st century of student government by using centralized information with electronic and internet tools like Wiggio, Twitter, blogging, and websites in order to create a stronger Congress that responds quickly to problems and allow the voice of the campus to be heard. â€¢ Martin will facilitate public exposure for Southwesternâ€™s Congress. Our student Government is a body that is supposed to work for the students. He will work to make Congress well recognized and promoted on campus so that students are energized about the issues that matter. â€¢ Martin will revitalize partnerships between Student Congress and Student organizations. There are a lot of strong organizations around campus that make up the life and energy of Southwestern and Student Congress should be there to help work alongside these organizations. Martin will promote policies that will help give all student organizations the resources they need to fulfill the initiatives they are striving for. â€¢ Martin will strengthen communications between representatives and the Executive Council. â€¢ Martin will work with the administration of Southwestern University to allow for greater autonomy and freedom among the student body. â€¢ Martin will launch strategies to help alleviate the financial burden on students in this time of economic struggle. Martin hails from Abilene, Texas, and he graduated from Abilene High School in 2006. 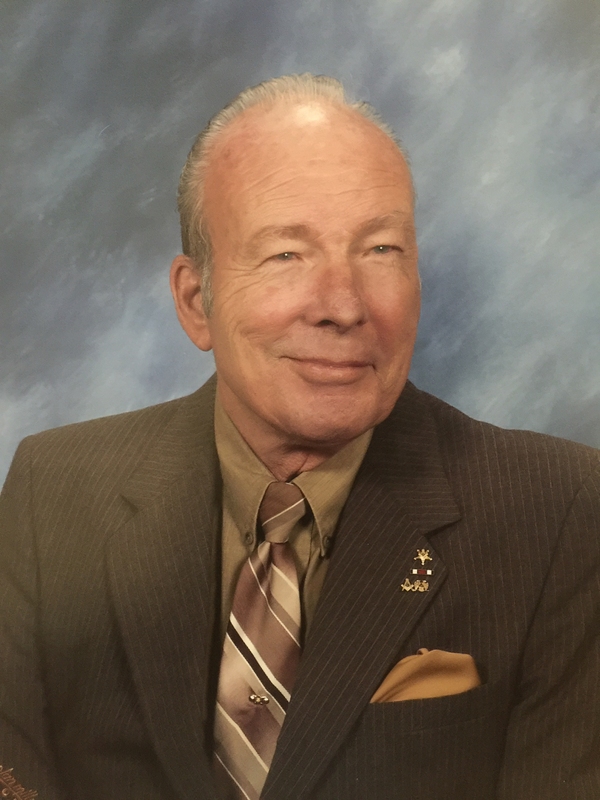 Throughout his high school career, Martin was active as an Eagle Scout, a lifeguard, he served as Captain of the AHS swim team, and he worked as a summer camp counselor at Camp Rio Vista in Hunt, Texas. Martin is a Political Science major with a Sociology minor, and he is active at Southwestern as President of the SU Student Peace Alliance, and he also serves as the National State Organizer for SPA. Martin is a member of Kappa Sigma fraternity, and he currently serves as Philanthropic Chair. Martin has served as Senatorial district 24 democratic Chair. Martin spent his summer working as a campaign field organizer fort he Dwight Fullingim Political Campaign for Congress, and he also has experience in the legal field having worked as a Legal Assistant for a law firm in Abliene. Martin is a Dean’s List student with a passion for serving the Southwestern community. He strives to listen to all student concerns, has strong relationships with members of the Southwestern administration, and Martin wants to be YOUR Student Congress President for the 2009-2010 school year. Alumni Weekend for the Spring of 2009 will take place over the final weekend in March, from Friday March 27 through Saturday March 28.